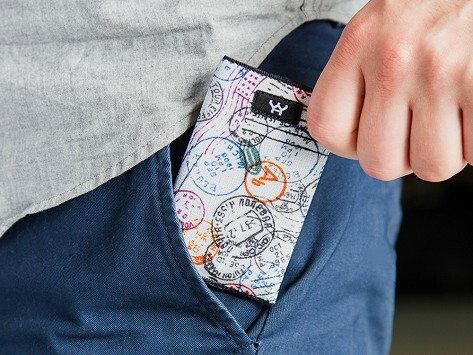 Slim, light, and durable, these Made in the USA wallets are a great alternative to a bulky traditional one. A portion of each purchase supports the Year Zero Foundation, educating children in the Founder’s native Cambodia while bringing clean water and medicine to their communities. Dimensions: 3.75" x 2.5" x 0.125"
Perfect item for credit cards . I had an older bi-fold wallet and several insurance and credit cards which were very crammed inside and this made my wallet very uncomfortable to sit on while driving . The slim card holder was the perfect answer to this problem . Small but fits a good number of cards. Well-made! I bought this as a gift and she loves it. She wanted to know where I got it in case she wanted another one. Very happy with this item. Express your personality—and your compassion—with a YaY Wallet.